Events Archives - Page 2 of 7 - Affiliated Monitors Inc.
SCCE Regional Conferences provide a forum to interact with local compliance professionals, share information about your compliance successes and challenges, and create educational opportunities for compliance professionals to strengthen the industry. 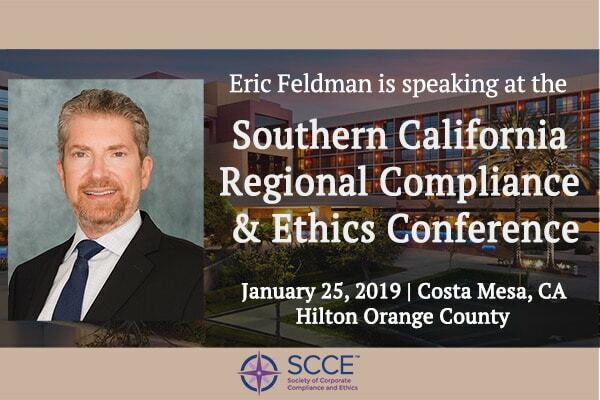 The Regional Compliance & Ethics Conference offers convenient opportunities for compliance and ethics training, updates on the latest news in regulatory requirements and enforcement, and strategies to develop effective compliance programs. Additionally, attendees will have ample opportunity to network with industry peers. Breakfast and lunch are also included in the conference price. 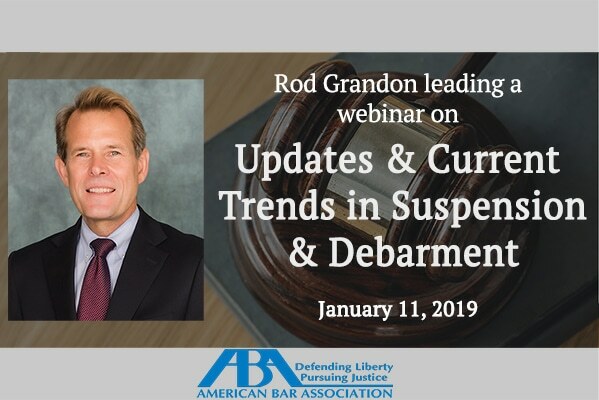 Recent court decisions and trends in suspension and debarment practice are the focus of this important program led by the Co-Chairs of the ABA Debarment & Suspension Committee. Don’t get left behind–learn how to navigate this shifting landscape from the experts! This program provides a thorough examination of suspension and debarment, the powerful administrative tools that prevent companies and individuals deemed “not presently responsible” from doing business with the federal government. 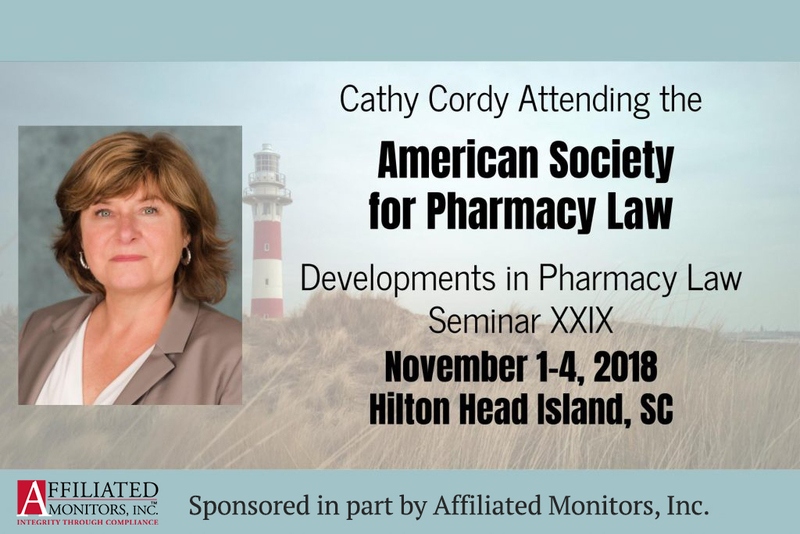 Take this course to gain an understanding of both the legal and regulatory landscape as well as practical tips for navigating a suspension and debarment action. 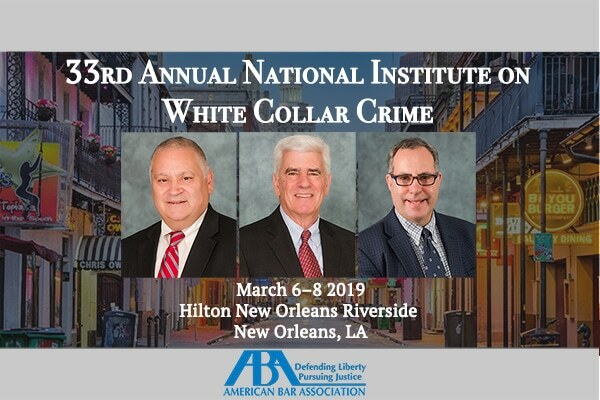 The presentation will be led by Rodney Grandon and Mike Wagner, attorneys who have routinely handled suspension and debarment actions and who serve as Co-Chairs of the ABA Debarment & Suspension Committee. 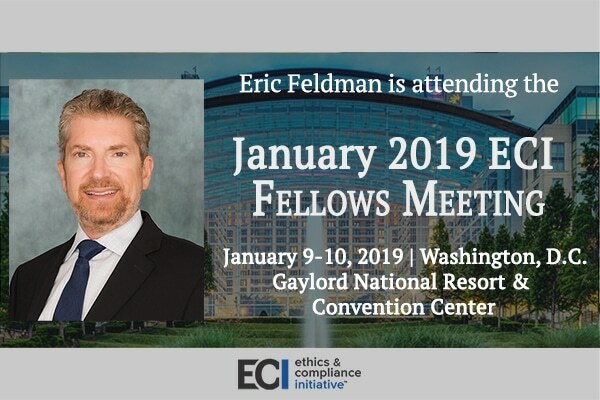 ECI brings together ethics and compliance professionals and academics from all over the world to share techniques, research and, most of all, exciting new ideas. ECI is the leading provider of independent research about workplace integrity, ethical standards, and compliance processes and practices in public and private institutions. 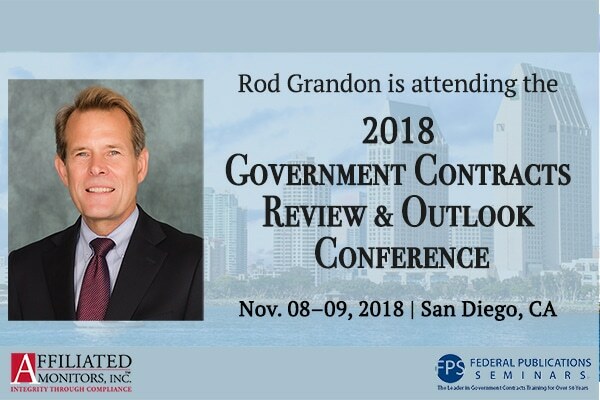 This unique conference brings together high-level practitioners and government contracting professionals to discuss what’s happening in the industry and its impact on 2019. Get an accelerated review and analysis of new developments in federal government contracting, from pending legislation and trends to how to prepare for the future. Connect with the top minds in the industry at a program designed for all public and private sector employees, including supply, service, and construction contract professionals. 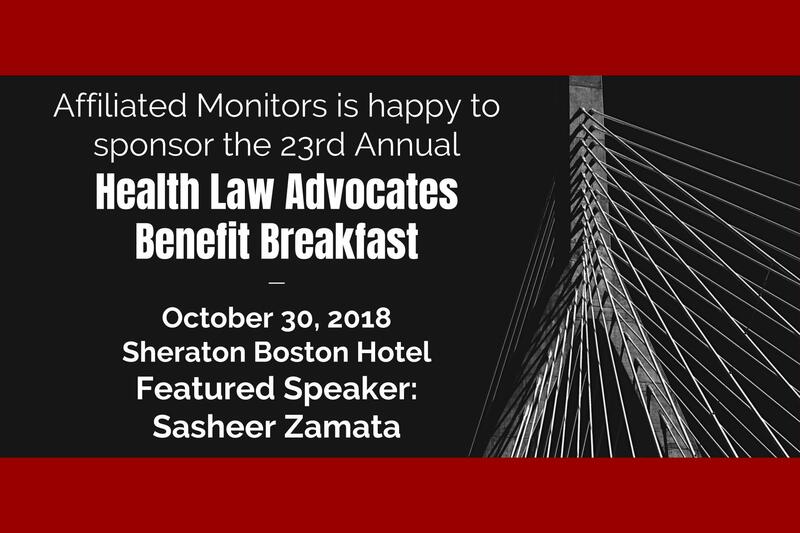 Affiliated Monitors is happy to be a sponsor for the Health Law Advocates 23rd Annual Benefit Breakfast. On Tuesday, October 30, Vin DiCianni and several of AMI staff will join colleagues and friends to support HLA and its work. The featured speaker at the event is Sasheer Zamata. “Sasheer Zamata is a comedian, actress and writer. She was a cast member on Saturday Night Live for four seasons and has appeared on This American Life, Transparent, People of Earth, At Home with Amy Sedaris and Inside Amy Schumer. She’s in the films I Feel Pretty, The Outdoorsman, Yoga Hosers, Sleight, and Deidra & Laney Rob a Train, and has done voice over for Bojack Horseman, Call of Duty, Lucas Bros. Moving Co., and Albert (Nickelodeon). The can’t-miss anti-fraud training event for law enforcement and government professionals. 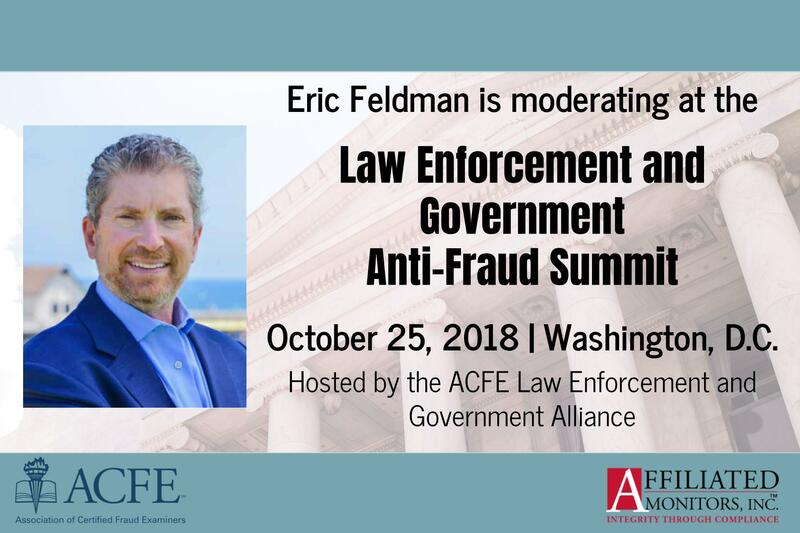 Eric Feldman will represent Affiliated Monitors at the 2018 ACFE Law Enforcement and Government Anti-Fraud Summit on Tuesday October 25, 2018 in Washington D.C. From 12:45-1:35 p.m., Eric will moderate the Luncheon Panel Session “How Ethics and Culture in Government Affect Fraud.” The panelists for this session are Patricia J. Harned, Ph.D. (Chief Executive Officer, Ethics and Compliance Initiative), Steven Linick (Inspector General, U.S. Department of State), F. Andrew Turley (Counsel, Fluet Huber and Hoang; Former Deputy General Counsel, U.S. Air Force). “This event is an important chance to join industry experts and anti-fraud professionals delivering the latest insights, techniques, and tools to address anti-fraud challenges specific to law enforcement and government agencies. 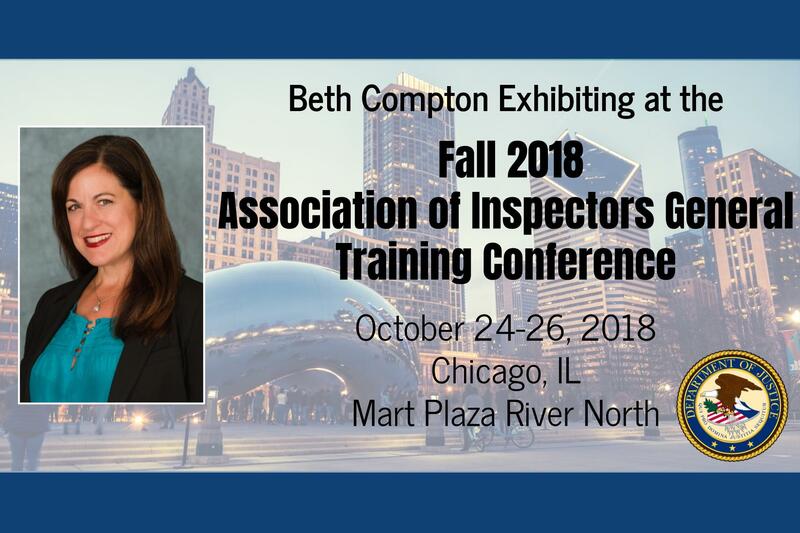 From October 24-26, 2018, Beth Compton will be exhibiting at the Association of Inspectors General Fall 2018 Training Conference in Chicago, Illinois. You can see full details of the training conference, including the agenda, here. If you’ll be in Chicago, please reach out with your contact details, and we’ll put you in touch with Beth. Affiliated Monitors is a sponsor of the 2018 Annual Conference for the National Association of Former United States Attorneys. 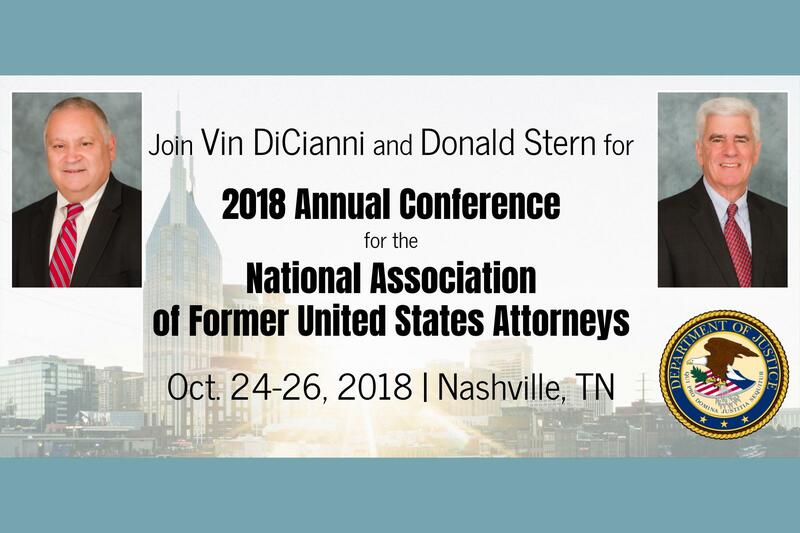 This year, the conference will take place in Nashville, TN from October 24-26; and if you will be in attendance, please reach out to Vin DiCianni and Don Stern with your details. For full details, please see the conference page on the NAFUSA website.